How much of a Buffy fan are you? Have you watched every episode countless times? Do you know all the seasons’ Big Bads, little bads, the Trio and the Scooby Gang? What about how to concoct the infamous Tabula Rasa spell that Willow used on Tara? 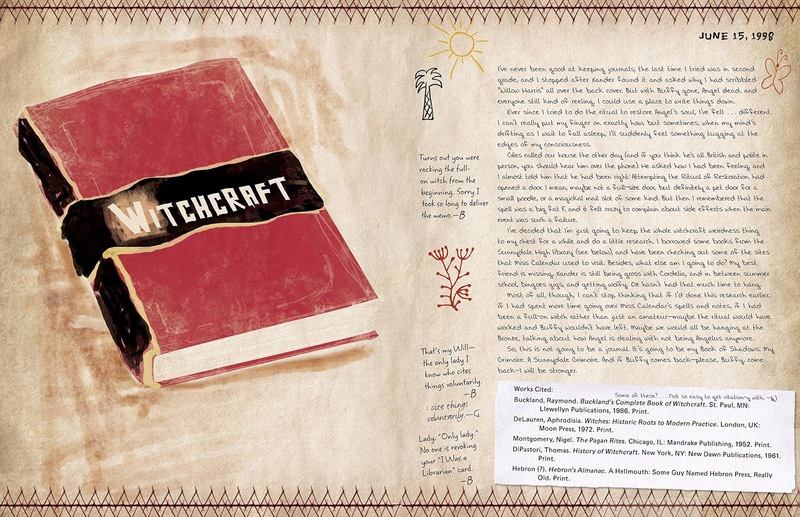 That’s the thing about this book you see, which is a collection of witch Willow’s journal entries, spells and notes, with supplements from the rest of the Scooby Gang – the more you already know about the series, the more you will get out of reading this book. The level of detail is breathtaking! That’s not to say that casual fans won’t enjoy the book, it makes fascinating reading anyway, but true fans will be utterly absorbed. 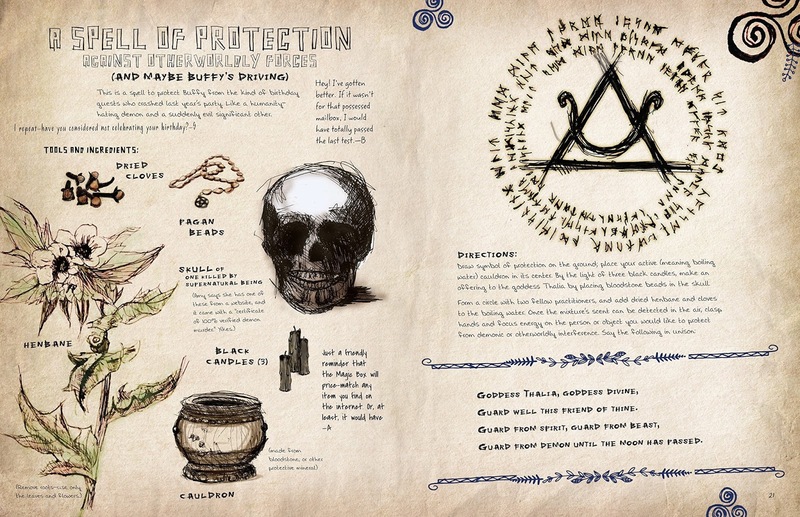 The timeline of the journal starts just after season 2’s events, although the notes in the margin are from much later as the book gets passed around the gang. As the years go on, it feels like there is a journal entry for almost every episode of the later seasons, as seen from the point of view of Willow herself, although they are not explicitly referred to so you really have to be up on when your favourites aired originally in the US (as this corresponds to the journal entry date) in order to find them in the book if you want to look for specific ones. But this book is so much more than a diary which, by the way, is so beautifully written in the character that I guarantee you will read it using Willow’s voice in your head. As a grimoire (or witch’s recipe book) it does actually list out the spells and incantations that Willow uses, alongside clippings, diagrams, drawings and margin notes from all the other Scoobies in their own hand-writing, as well as the odd page by The Trio (because Dawn said it seemed like a good idea at the time to give it to Andrew) which means that, no matter how well you think you know the series, every page will add something new to your understanding of the Buffy-verse. And, because this is presented by Titan Books, there’s even more to it than that. 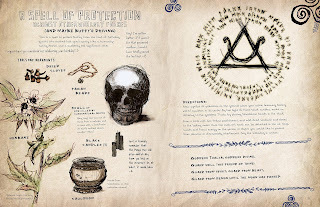 As well as the beautifully illustrated pages of the book there are several inserts, like letters and menus, slipped between the books pages, keepsakes carefully stashed which give the book that proper journal feel and make this the perfect Yuletide present for Buffy fans everywhere. 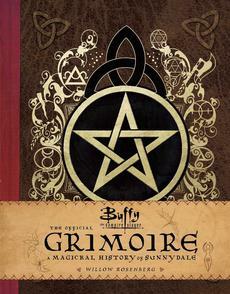 A word of warning though; if you want to actually try the spells in the grimoire, you must do so at your own risk and only after you make sure you don’t live anywhere near a hellmouth.